Tiffany Brissette is a popular child actress who began her journey to fame at a time when kids her age were still learning how to talk properly. She was able to steal the heart of her adult viewers because of her cuteness and rare boldness for a child her age. It was as if she was made for the big screen and even kids her age adored her. Tiffany, like every human on the planet, continued to search for life’s meaning and deviated to another career which took her out of the big screen. These and 7 other facts about the child star will be extensively addressed in this article. Tiffany Brissette was born Tiffany Michelle Brissette on December 26, 1974, in Paradise, California in the United States of America. Her nationality is American and she belongs to the white ethnicity. There is no information regarding her high school history but she obtained a bachelor’s degree in Psychology from Westmont College, Santa Barbara, California. Tiffany became an actress with the full support of her mother or as some would say, it was her mothers’ idea to have Tiffany on screen. She started out when she was just 2 years old with her mother acting as her agent and enrolling her in as many pageants and children talent shows she could get wind of. In 1982, when Tiffany was just eight, she voiced an animation titled A Woman Called Golda. Tiffany Brissette began her acting career in 1983 with a role in Jonathan Kaplan’s film, Heart Like a Wheel where she portrayed the character of little Shirley. In 1984, she voiced Caravan of Courage: An Ewok Adventure. 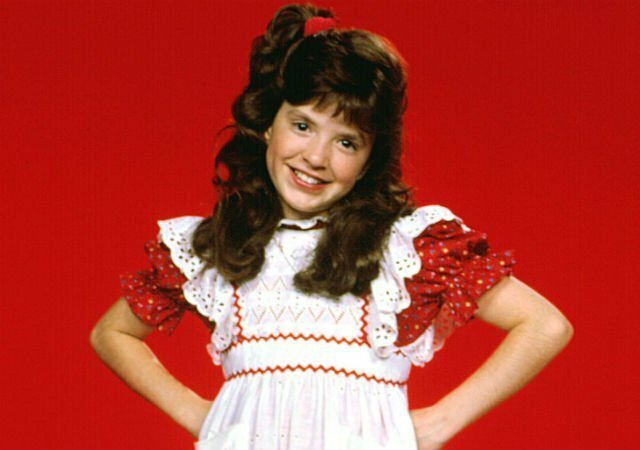 She played a big part in the 1985 TV series Small Wonder as V.I.C.I, meaning Voice Input Child Identicant and pronounced “Vicki”. The series which played from 1985 to 1989 was about Vicky Lawson, a robot built by an inventor, Ted Lawson to look and act like a little girl of ten. The robot is loved and cherished by Lawson and was adopted to become a member of the family. Tiffany at that young age, interpreted the character so well you would think she was actually a robot in real life. Her performance in the series earned her many nominations for Best Young Actress in TV series for a couple of years in a row. The same year (1985), she played two episodes on Webster as Kathy. Five years later, she provided her voice as Wrenifred Brown for an animated video titled Why Christmas Trees Aren’t Perfect, together with Jodi Benson, Tony Mendez and Ray Benson. Still, in 1990, Tiffany starred in Equal Justice and in 1991, she played in Parker Lewis Can’t Lose and that was the last time she was seen on screen. 1. Tiffany Brissette, the former child star is 5ft 5in tall with big beautiful brown eyes and also has a healthy weight of 58kg. Despite her glamorous physique and beautiful facial features, Tiffany is still single according to the last information we got on her. However, due to how uptight she is with details about her personal life, it is possible she is married. 2. In 1991, when she was 17, Tiffany was a guest in the prestigious 700 club. 3. She began making television appearances from the age of 2 as guided by her mother. 4. Tiffany as a child appeared in commercials for companies like IBM, Care Bears, Jell-O Puddin’ Pops, Florida Orange Juice, Kidco Toys, Beatrice Foods, etc. 5. Tiffany has a net worth of $1 million. 6. Tiffany Brissette became a certified nurse and has been working in Boulder Colorado since 2007. 7. Fellow child star, Jerry Supiran from Small Wonder is currently broke and living under a bridge in Central California because of poor choices he made in life. He spent his fortune dating strippers after retiring from acting at a young age. He even claimed to have been duped of half a million dollars which was supposed to be the remnant of his fortune. As a result, he is currently a poor man, unable to cater for his basic needs. Tiffany, on the other hand, took a different turn after leaving the big screen. She has been living a fulfiled life as an active member of Variety Club Telethon, helping the sick and children suffering from terminal illnesses.